Full-cycle solutions, from engineering, design, manufacturing, installation, construction, after-market services, assets under maintenance, we see the big picture. Enerflex provides growing oil and natural gas plays with major build-outs of midstream and downstream infrastructure. Our competencies span the range of customer needs – from standard compression and processing systems, to highly engineered and customized solutions both onshore and offshore. Success in the natural gas industry takes determination, ingenuity, and collaboration. Our fully-integrated equipment and service solutions, driven by an industry-leading team, empower the natural gas processing and midstream sectors. Mutually supportive project phases drive value, control costs and mitigate risk. Check out our full listing of discounted spare parts here. 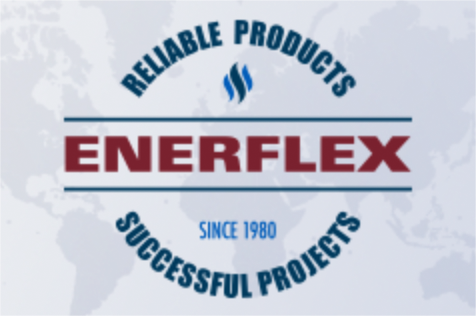 Enerflex has over 55 locations across seven regions, and each employee contributes to the Company’s success. That’s what being an integrated global company is all about: one team. Click here to find out how to join our team. Recently, Enerflex completed a time lapse video highlighting the Company's entire assembly and disassembly of a project over a two-month span. The video captures footage from the Calgary manufacturing facility and showcases employees hard at work building solutions that transfrom natural gas for our customers. Reliable Products. Successful Projects. Inspired by our corporate values, our brand promise was developed for employees, customers, stakeholders, and our communities alike to reflect our commitment to smart, supportive service solutions at every point across the natural gas value chain. Recently, Enerflex completed a drone video showcasing our extensive capabilities in Australia. With a specific focus on highlighting the Company's 39,000 square foot facility, including the shop and warehouse, the video demonstrates our capabilities with overhauls, retrofits, re-builds, and after-market services, including hydraulic power unit maintenance work.